It's Friday, YAY! I hope you've all had an enjoyable week so far. 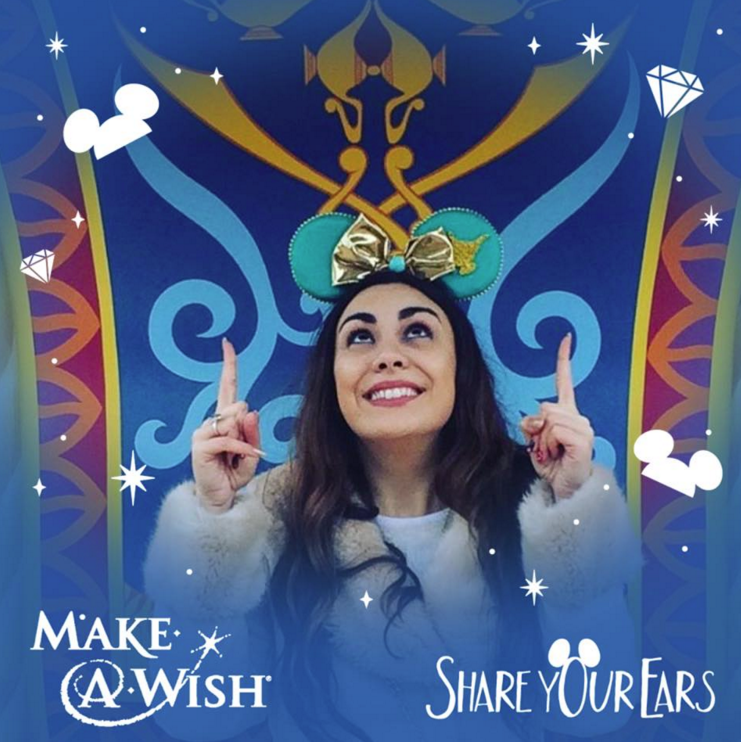 For every photo that you share of you in your Mickey or Minnie ears, Disney Parks promise to donate $5 to the wonderful people at The Make-A-Wish Foundation. To get involved, all you need to do is upload your photo to Social Media (Facebook*, Instagram or Twitter) and make sure you hashtag #ShareYourEars. It couldn't be simpler! And if you don't own a pair of ears already, improvise! Lots of people have been making their own Mickey ears with everyday household objects, so get creative! Disney have been working with Make-A-Wish since 1980 and in that time, they have granted over 100,000 wishes to children with life threatening medical conditions. This amazing campaign will ensure that Make-A-Wish can continue their work and hopefully grant hundreds of thousands more! To find out a little more about the #ShareYourEars campaign, click here. ...and if you're interested in knowing how I own a pair of Princess Jasmine ears, click here. I would love to see all of your own uploads so please feel free to direct me in the comments! *Edit: Facebook have now made it even easier to #ShareYourEars with their temporary Profile Picture option as pictured above. We're going on a Princess hunt!